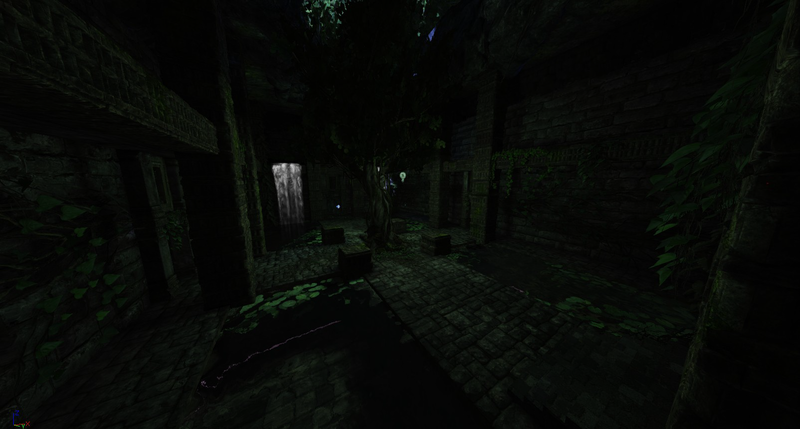 The Lost Temple was a personnal Level design and Level Building training based on the theme : see and not to be seen. I imagined a specific game concept for this map and a little background story arount this place. It was about two warriors of rivals tribes which looking for a sacred tree in an old temple. The idea of gameplay was that two players embodies two warriors of equal strength engaged in a melee fight to death. All the gameplay is about backstab and surprise attacks. If the players fight face to face, its an automatic draw, in which case, the avatars dash away from each other and the chase continue. They have to use shadows and secret shortcuts to make surprise attacks and ambushes.